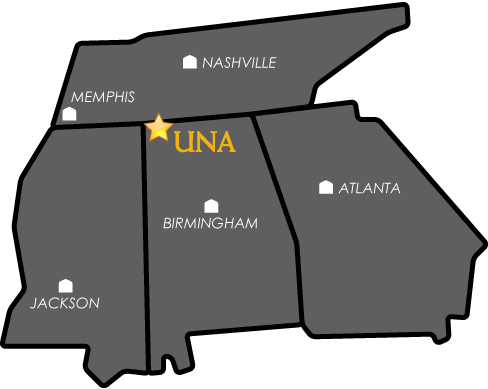 You may contact the UNA Office of Admissions by phone at 256-765-4608, by email at admissions@una.edu or stop by our office at Coby Hall. Any student planning on transferring from a community college or university. Mississippi: Alcorn, Itawamba, Lee, Prentiss & Tishomingo counties. Tennessee: Decatur, Hardin, Henderson, Lewis, McNairy, Perry and Wayne counties. Greater Memphis Area.